As stated in the last entry, the wiper assembly for the Rally Fighter's was one of the components worked on with ATG out in California. At first glance windshield wipers seem to be extremely simple with few moving parts, but this is a misconception. Beyond the technical workings of the wiper assemblies their are strict FMVSS (Federal Motor Vehicle Safety Standards) as set by the U.S. Department of Transportation. The windshield wipers on a car use two mechanical parts to move. First, there is a combination of an electric motor and a worm gear reduction (shown below) which provides power to the wipers. This uses a standard electric motor which spins a worm gear. A worm gear reduction is used since it both reduces the speed of the motor and increases the torque by the same factor of about 45 . So when the wiper motor is spinning, the resulting speed after the worm gear is 45 times slower and the resulting torque 45 times greater. This high torque is necessary to move the wipers quickly and powerfully. Second, their is a linkage (shown below) that converts the rotational output of the motor into the back-and-forth motion of the wipers. 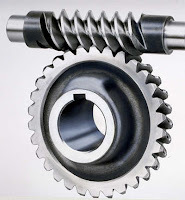 The linkage uses a cam attached to the worm gear reduction (A cam is a mechanism that translates movement from circular to reciprocating or oscillating. An example is the camshaft of an automobile, which takes the rotational motion of the engine and translates it into the reciprocating motion necessary to operate the intake and exhaust valves of the cylinders.). As the motor and gearing spins, the cam operates a long arm by moving it back and fourth. 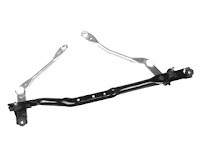 This long arm is connected to two smaller arms which attach to the right and left wiper blades. This linkage pushes and pulls with the converted force to move the wiper blades along their path. Is the Rally Fighters diesel engine green? As shown on the Buy Page, the Rally Fighter uses a BMW 335D engine. This engine produces a whooping 265 Horsepower @ 4200rpm, and 425 lbft @1750 RPM. But don't let the performance fool you, this is a new 50 state legal clean diesel engine with urea injection. 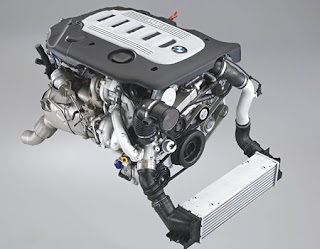 This engine already exists in two cars, the BMW 335d and the BMW X5 XDrive35d. The two vehicles have respective 23mpg city, 35 mpg highway, and 19mpg city, 25mpg highway. But considering the Rally Fighter will be about 700 lbs less than the 335d sedan we expect a similar if not slightly better fuel economy. But mpg is not the whole story. Is the Rally Fighter safe? The short answer is yes. 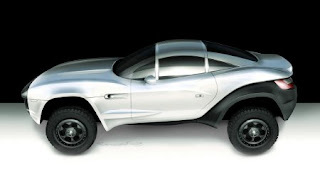 We have engineered the Rally Fighter to meet or exceed all FMVSS (Federal Motor Vehicle Safety Standards) as set by the U.S. Department of Transportation. Click here for the standards. This time the help came from the design side of the community, compared to the recent head's up I received from one of our fellow engineers in the community. We recently received an email with a link to an Autobloggreen.com post highlighting the process of removing the battery from a Better Place vehicle. According to the post, the swap only takes one minute and thirteen seconds, and you don't have to get out of the car to do it. This is pretty amazing considering the initial estimates we saw some time ago on how long it would take to accomplish such a feat. However, as you will see in the video below, the equipment is (as expected) pretty complex and takes up quite a bit of space since the battery is just about as wide and long as the entire vehicle. The positives are that they feature solar panels to power the aparatus, and the systems seem to be pretty universal. It will be interesting to see how well the systems can be integrated. Thanks to one of our dedicated community members, Braunarsch for the head's up! Colby Whipple (LM's master welder) built and painted four beautiful surface plates for the construction of the Rally Fighter’s chassis jigs. See the April 29th entry for more information about the construction of these multi purpose tables. Once all the tables were constructed Colby put two coats of paint on the bases of the tables. After a couple days waiting for paint to dry it was time to flip the tables. This was no easy task considering each of the four tables weigh about 1,500 pounds. We had to use a fork lift and vise grips to flip the tables onto their sides, and then push the tables over. 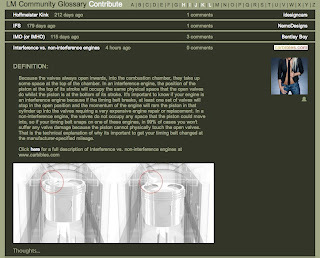 This is illustrated in the following video. After the tables were flipped we brought them to their somewhat permanent spot in the shop for assembling the Rally Fighter's chassis jigs and eventually other jigs for future vehicles. We placed and silicon glued aluminum panels to the floor surrounding the tables to protect the floor from welding sparks and other debris. I received an email from one of our community members, Saffp7 the other day informing me of yet another new engine that improves upon the current model of combustion engines. "[The engine] runs on nine main parts instead of the 30 most combustion engines have and is considerably lighter. It doesn't need a transmission or catalytic converter. It has three times the power for its size. It's twice as fuel efficient as a gasoline engine and 25 per cent more fuel efficient than a diesel engine. It can use any kind of fuel including diesel, biofuels, natural gas and eventually hydrogen fuels." Definitely sounds like it has some great potential as a disruptive engine technology, and since disruption is what we're all about, I'll be adding it to my list of engines to keep an eye on.